How you can access the expansion database using the Play! framework? I wish to begin to see the tables of my Play! 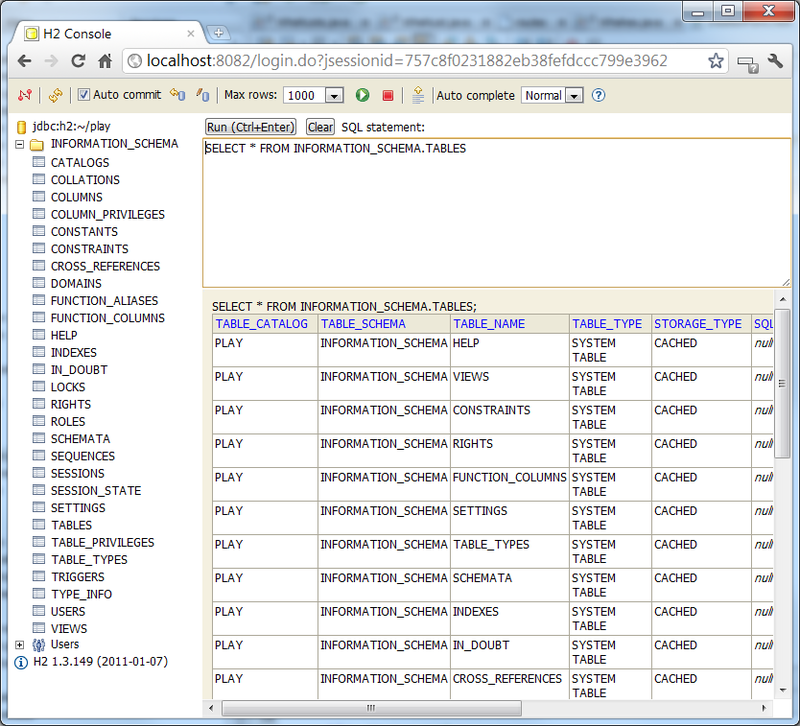 application using the H2 console, but all I see is a listing of internal tables from the db engine. How do i see the tables of my application? Log onto the JDBC URL jdbc:h2:mem:play rather. That's in which the development database operates on a minimum of on my small Play instance. Probably, you're searching a different database. Would you verify the database URL is actually jdbc:h2:~/play? Opt for improving to some more recent version of H2. The version you're using (1.3.149) is really a beta version. exterior database with Adobe CQ5? php callback appending an additional ?